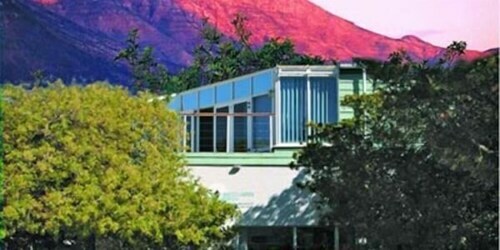 Hout Bay is a scenic village in between magnificent Chapman’s Peak and a wide bay, just south from central Cape Town. Visit this charming waterfront district for its beaches, abundant wildlife, fresh seafood and local markets. The beach at Hout Bay is wide and has calm waters. Enjoy a leisurely stroll along the beach or take a dip on a hot summer’s day. Wander to the Mariner’s Wharf to see the comings and goings of the harbour. Take a seat at one of the restaurants on the wharf and try fresh and local yellowfin tuna. A short walk along the waterfront will bring you to Bay Harbour, a diverse marketplace with over 100 stalls and a stage for live music. Find regional art and handicrafts as well as fresh seafood and organic produce. The market is open Friday to Sunday and closed on public holidays. Jump on a charter boat tour from the harbour and explore around Sentinel Mountain to the little landmass of Duiker Island. Here, you can see South African fur seals lounging on the rocks. Nearby, spot the famous surf spot Dungeons, where surfers from around the world compete in annual competitions. Join a sea kayaking tour for a closer look at the shoreline and towering cliffs of Chapman’s Peak. Don’t miss the World of Birds Wildlife Sanctuary and Monkey Park. This destination features over 3,000 birds as well as baboons, monkeys and meerkats in exciting walkthrough enclosures. Open daily, this wildlife park is only 10-minutes’ drive from the marina. Discover the Chapman’s Peak Drive, a 9-kilometre (5-mile) hiking and driving route that cuts through the mountainside and winds past beautiful coastal views and picnic areas. 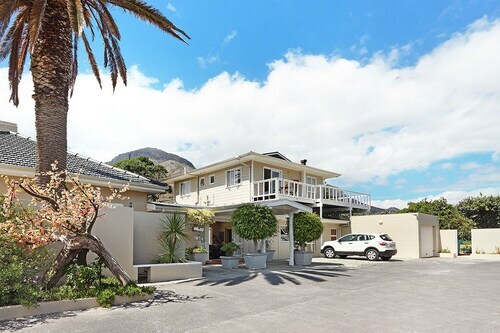 Hout Bay is approximately 25 minutes from central Cape Town by car. 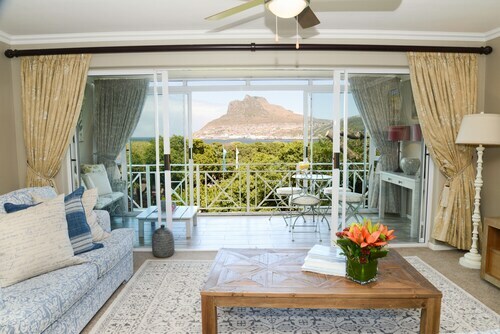 Catch a hop-on hop-off tourist bus to Hout Bay or make the scenic drive in a rental car through the coastal roads or scenic Table Mountain route. Car parking is available at the marina. 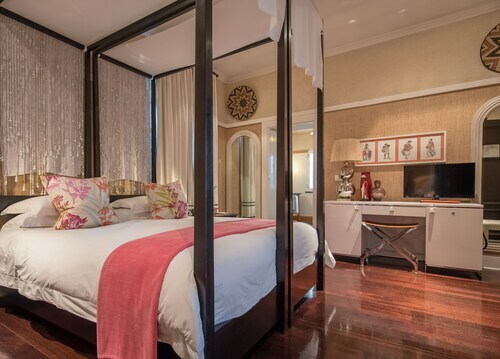 If you'd like more activities, take a look at our Cape Town things to do page. Look down on the city and the Atlantic Ocean from the top of one of the mountains that tower over Cape Town. Experience an end-of-the-world sensation while discovering dramatic landscapes and spotting myriad bird species at Africa’s most southwesterly point. See and be seen, admire beautiful sunsets and go hiking in the famous Twelve Apostles at one of Cape Town’s most stylish beaches. Listen to live music performances and admire regal architecture at this landmark structure, made famous after Nelson Mandela gave a speech from its balcony. Soft white sand, aquamarine water, striking mountain views and picture-perfect sunsets lure visitors to this collection of four fashionable beaches. Enjoy food, wine and art and experience the majesty of birds of prey at one of the oldest wineries in South Africa. Take a guided tour of this modern sports arena and then watch a soccer or rugby match while sitting among an energetic, vuvuzela-playing crowd. Visit this attractive beach on Cape Town’s False Bay to enjoy safe swimming, shark cage diving, whale watching and beautiful mountain scenery. Hike up a prominent Cape Town landmark to enjoy gorgeous vistas across Table Bay and witness the firing of the Noon Gun. Swimming fun for all ages in four open-air seawater swimming pools from which you can enjoy wonderful views of the Atlantic Ocean. At one of South Africa’s oldest buildings, browse exhibitions about the history of Cape Town and walk on ramparts to enjoy stunning views of Table Mountain. 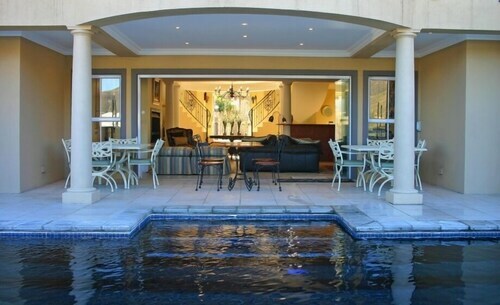 Sample award-wining wines, take a cellar tour and visit historical buildings at this 330-year-old vineyard nestled in the lush green Constantia Valley. With sharks, rays, tropical fish and forests of kelp, this aquatic attraction provides deep insights into life under the ocean waves. In the shadow of Table Mountain is this pleasant public park where you will find grassy lawns, themed gardens and statues of notable figures. Shop for art and handicrafts from across the African continent and watch the busy action of Long Street from a café balcony. The origin and development of the Jewish community in South Africa is revealed in the exhibitions and presentations at this compelling museum. Rising to the east of the iconic Table Mountain, this soaring peak has accessible hiking trails, challenging climbs and exceptional city views. Relax on the sand, take part in watersports and barbecue in front of beautiful ocean views at this attractive seaside location. Swim, surf, bodyboard or just work on your tan while enjoying the scenery at this pretty coastal spot on the Atlantic. This fascinating museum retells the story of District Six, a former multicultural community that was evicted during the turbulent apartheid years. South African, African and Western European art are the big stars of this cultural attraction. Study hundreds of years of work by prominent artists. Sun, sand and spectacular sea life are all available at Boulders Beach, home to an impressive African Penguin colony. The lofty summit of Table Mountain is Cape Town’s crowning glory, offering a coastal panorama that is second to none. Feared by sailors for centuries, the jagged cliffs around the Cape of Good Hope showcase the splendour of South Africa’s native wilderness. This is the oldest and most prestigious botanical garden in South Africa, home to the first collection in the world dedicated solely to indigenous plants. Admire the Victorian architecture of the buildings and the quirky atmosphere in the bookstores and museums of this iconic street. Blending modern buildings with colourful period structures, the architecture at the Victoria & Alfred Waterfront reflects its vibrant, cosmopolitan atmosphere. Pack your swimsuit for a day of beachside fun. Paddle, swim, stroll along the promenade and dine with ocean views. Gaze up at the majestic Lion’s Head mountain from this swimming site that uses filtered seawater in its four pools. Learn about extinct and modern land and sea animals and ponder the mysteries of the universe at this popular Cape Town institution. 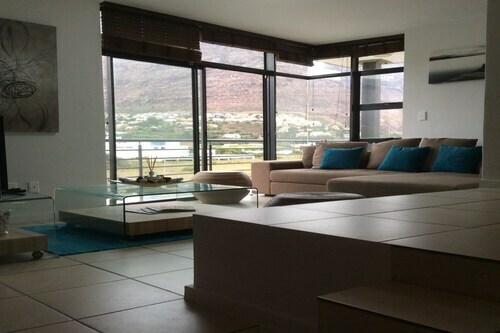 Located in Hout Bay, this apartment building is within a 15-minute walk of Hout Bay Beach and Hout Bay Craft Market. Bay Harbour Market and World of Birds are also within 3 mi (5 km). 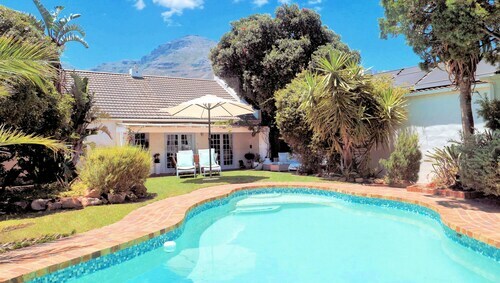 Located in Hout Bay, this cottage is within a 10-minute walk of Hout Bay Beach and Hout Bay Harbour. Chapmans Peak and Camps Bay Beach are also within 9 mi (15 km). Heard so much about this hotel, but didn't quite live up to its reputation, beautiful building and decor but lacks atmosphere. We had to search for staff to serve us a pre dinner and post dinner drink! Think more staffing is required. It were wonderful.I like stay there.